Although Fischl Dental Associates is not under contract with any dental insurance companies, nearly all dental insurance is useful to some extent in our office. We will be more than happy to submit all insurance forms for you and help you maximize your benefits. For patients who require major cosmetic and restorative work, a complete payment plan can be designed with an appropriate payment schedule. Forms of payment accepted by the office are cash, check, Visa, MasterCard, Discover, and American Express. Our fees are determined by the care, skill and experience of our team and are based on the services and time involved. We take great pride that our fees are an exceptional value. We are sensitive to your concerns and encourage a frank discussion about the investment in your dental health at any time. Care Credit is another financial option available to our patients. This is a payment option that can be used as a complete payment option or for balances your insurance doesn’t cover. 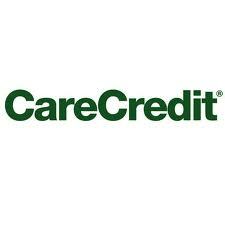 Care Credit has low interest financing or low minimum monthly payment options. For more information or to apply online, visit www.carecredit.com. If you have any questions about dental insurance, payment, and financing, please contact Drs. Fischl for more information.